On rare occasions I wish I had a hydraulics power-pack (to operate, for instance, a duckbill spreader). Would it be feasible to tap a tractor? 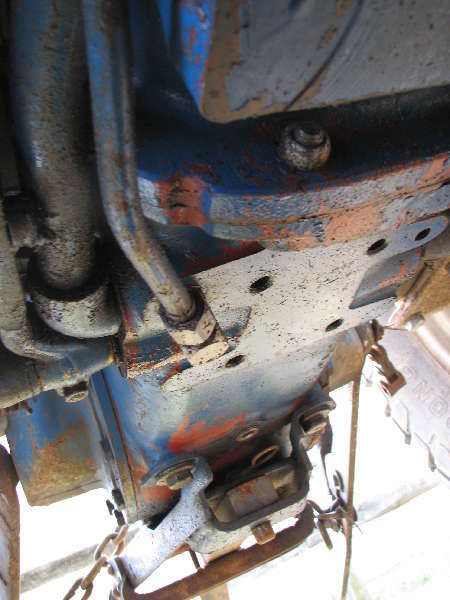 That is, to install a quick-connect terminal downstream from the tractor pump, and run a hydraulics implement from that (and a second quick-connect for the fluid-return line)? 1. What is a duckbill spreader? 2. Having a supply and return is only part of the equation--how or what will be controlled---motor or cylinder? One way or two way? 1. You want to lift or separate something that you can't use a jack or loader for. You ask Superman to squeeze his hand, flat, in the space, and separate his thumb from his fingers to move them apart. Or, if you're familiar with "The Jaws of Life" spreader, it's a smaller version. Sort of a reverse grapple. 2. Wondered if the engine speed could be the pressure controller. 3. I'll look into that. 1. I've got one. But it's only rated for 1000 lb. Harbor Freight sells them. 2. Engine speed nope. You would have to have such low RPM the engine would stall. Even if you could, you lose pressure as speed reduces. 3. HF sells complete 10 ton porta power sets with hand operated pump for less than 200 US. And they offer many accessories like shorty 10 ton cylinders, rebar cutter, pullback cylinders, etc. I have all of them. It might be a bit of work, but if you look (or ask) around you can probably find a "power beyond plate" for your machine. In fact some Japanese tractors have power taps built in, you just remove a pair of plugs on the transmission housing and screw in the hoses leading to/from a valve to give you hydraulic remotes. They make loaders for a 226D so there has to be a relatively easy way to add on a power beyond kit. Price might be another story though. Realize if your tractor had remote hyd you would go that way so another possible low cost option is find a used pto driven hyd cutter or such with operating pump and valve assembly. If I understand what you are asking how about a used hyd log splitter or quick disconnect fittings on a log splitter?